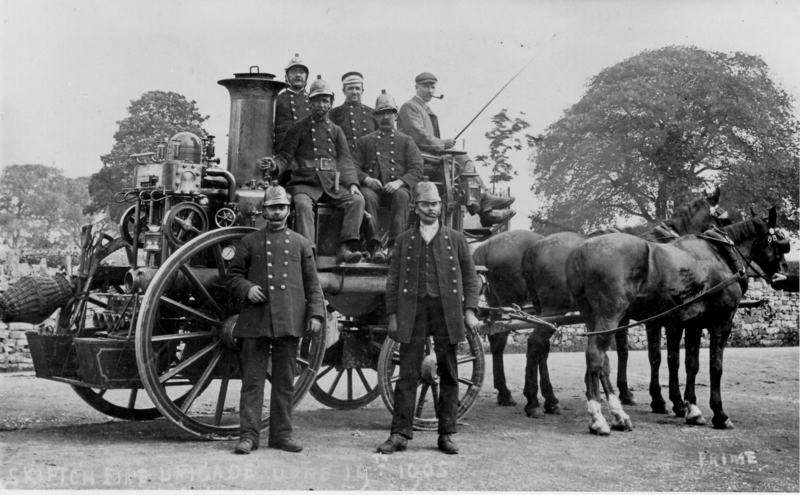 Skipton Fire Brigade outside The Bull at Broughton, June 1905. Returning from mill fire at Earby. Horse-drawn fire engine. Names: Billy Smith (in middle group), of Smith & Chew carting agents, bottom Raikes Road. Walter Ellison (bottom right), mill engineer at Ellison & Fawcett.